These patriotic lanterns are so easy to make and create a beautiful end result. Children can practice fine motor skills, scissor skills and visual perceptual skills while creating these fun patriotic decorations. Hang them up for July 4th or really all Summer long! Access the free download below. 1. Print the following two pages on cardstock paper: first page is black and white and the second page is color. Optional: print the black and white version on red and blue paper (as pictured above). 2. Fold the paper in half lengthwise at the 1/2” dotted line. 3. Use scissors to cut along the solid, black lines. 4. Open paper back up and form into a tube with the horizontal stripes at the top and bottom. Glue closed. 5. Attach a handle at the top. And that’s it! Decorations for Flag Day, July 4th, Labor Day or Memorial Day are all set. 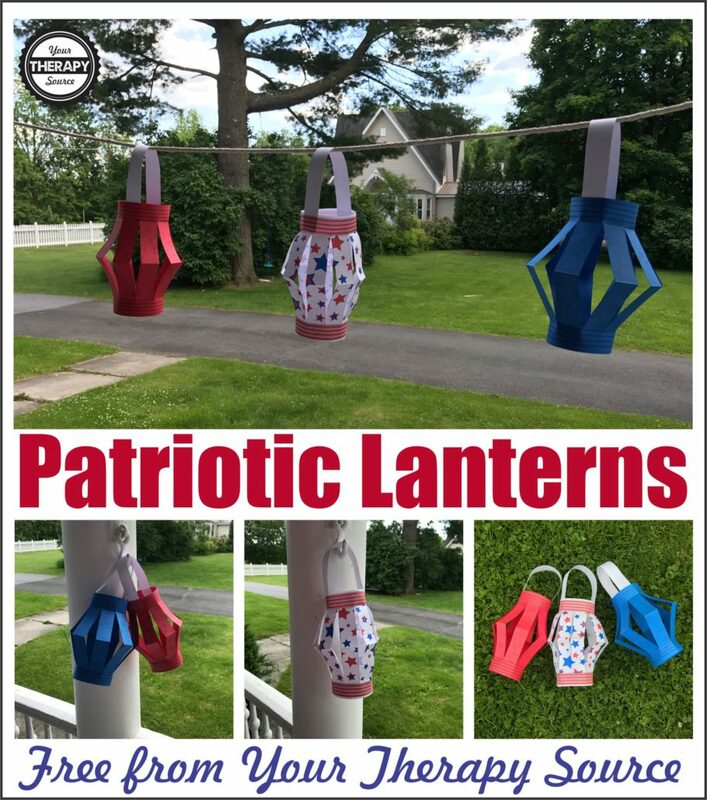 Download your FREE Patriotic Lanterns by subscribing to our newsletter below. If you already subscribe just re-enter your email. A new tab will open with your free patriotic lantern templates. 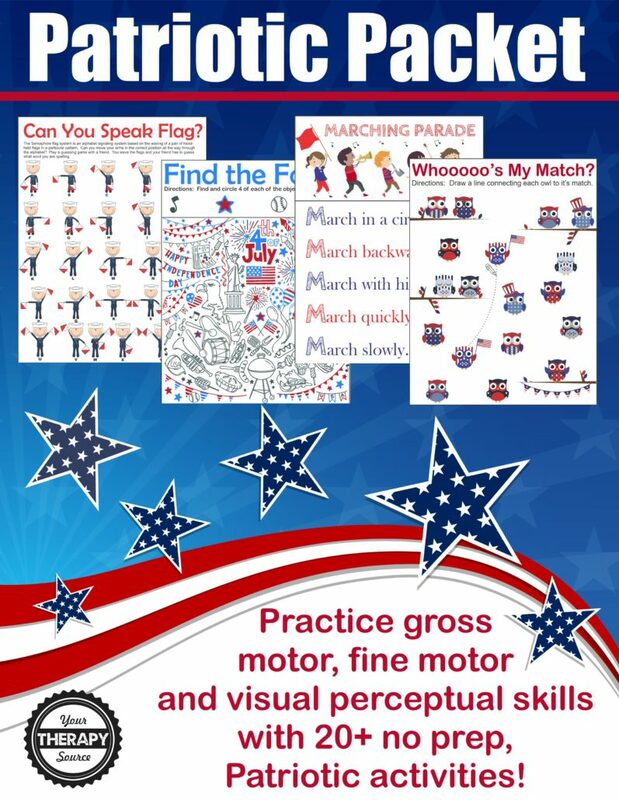 This freebie is from the Patriotic Sensory Motor Packet. This digital download is packed with no-prep fine motor, gross motor and visual perceptual activities all with a patriotic theme. This is an excellent activity packet for in class activities, therapy sessions, class parties, carry over activities, brain breaks, early finishers and “homework”. FIND OUT MORE.